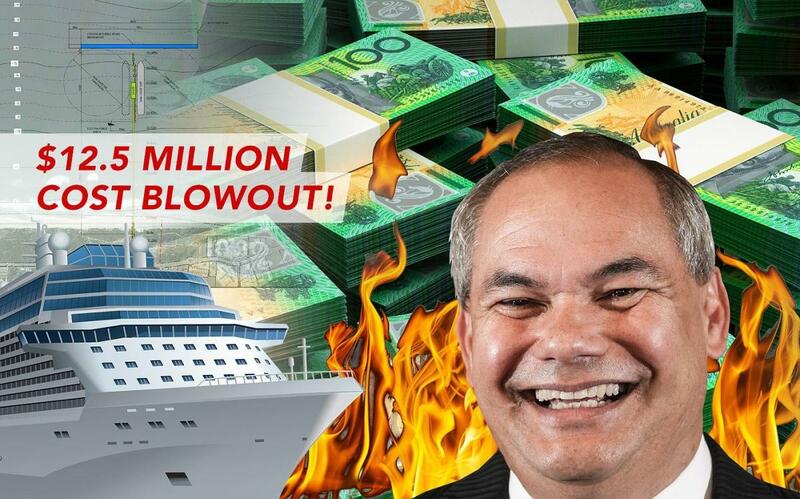 At last night's Community Alliance meeting it was revealed that the total cost for the Mayor's 'no cost to ratepayers' Cruise Ship Terminal could reach $12.5m by the time all the necessary studies are completed. Cr Peter Young, speaking to the 200-strong crowd in attendance, highlighted his concerns with the culture within Council of bullying and secrecy, and a strong intent to approve developments at densities well beyond those anticipated in the City Plan, despite impacts on stressed infrastructure and communities. Cr Young cautioned that while previous studies into the Offshore CST proposal have provided significant environmental and economic reasons as to why the project should be shelved immediately, the Mayor's office and Council are determined to press ahead. The revelations confirm that ratepayer's money has been spent on reports in which the components containing the risk management and environmental concerns related to the project have been hidden from public view, and is in stark contrast to Mayor Tom Tate's repeated claims that he would only pursue an offshore CST “at no cost to the ratepayers” and that he would also be the first to stop the project if it “did not stack up environmentally”. Similarly, with the new Brisbane Mega Terminal being approved this week by the state government, and paid for by the Cruise Industry itself, it is apparent that any more “research” into building a CST anywhere on the Gold Coast is a waste of time, effort and money. Last night's meeting, organised by GECKO, brought together 17 different community groups as a forum to present to the wider community the different issues they are facing city wide. These groups spoke of the many issues they have dealing with both councillors and officers and the lack of community consultation in planning decisions, while highlighting multiple issues with the various interpretations of the 2015 City Plan they are experiencing. Each group agreed that the influence of the development industry on some councillors and council officers is apparent, and that decisions are being made continually in favour of developers, against the expectations of the local community. As a result, all in attendance registered a vote of no confidence in the current leadership of the Gold Coast City Council and have demanded that the state Minister for Local Government Mark Furner step in and investigate the financial operations of the City of Gold Coast immediately.